In less than two years Katy Rutkovski has become Russiaâ€™s No 1 female trance/progressive DJ. She has reached no 11 and no 34 respectively in the two most significant Russian DJ listing charts and is rapidly gaining an army of loyal fans throughout Russia and beyond. This meteoric rise can be attributed to her unique style incorporating a high level of technical ability, excellent tune choices and her infectious and charismatic stage presence. 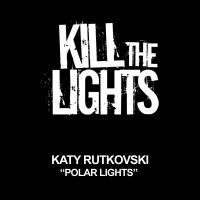 Her first track â€œPolar Lightsâ€ was snapped up by Matt Hardwickâ€™s â€œKill the Lightsâ€ label and she has now signed an exclusive deal with the powerhouse label group â€œRecoverworldâ€ for a series of singles to be released from early 2011.